Get ready to visit Cascade Locks in three weeks for the 2015 Ripple Opti Clinic. Wither your a sailor or an observer, you won't want to miss out on this experience. 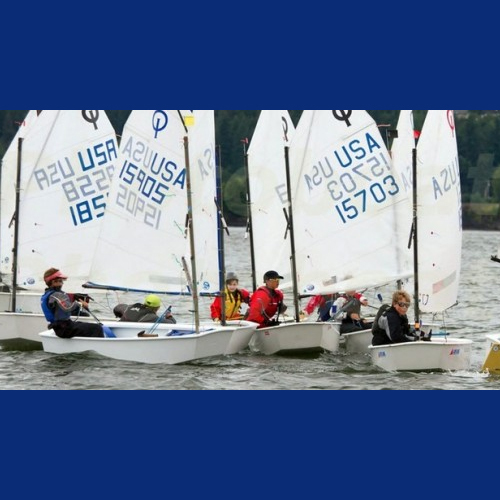 The 2015 Ripple Opti Clinic is an opportunity for sailors of different skill levels to experience a professional coaching in a safe and fun environment. The Columbia Gorge Racing Association is hosting this event in Cascade Locks on June 23rd-25th. Learn about the coach and assistant coach for this sailing event below. Nico Winograd, Head CoachNicolas “Nico” Winograd has been coaching US National teams at international events for the past 15 years and is currently head Opti coach at the San Francisco Yacht Club in Tiburon, CA. A native of Buenos Aires, Argentina, Nico started sailing Optis at age seven and quickly moved into national and international competition. He qualified for and raced in six world championships in various junior and senior classes. In addition to a busy international racing schedule, Nico frequently serves as a trainer for various Olympic campaigns. Chris Pine, Assistant CoachChris grew up sailing on the North Shore of Massachusetts. He has served as head coach of Opti teams in Florida, California, the British Virgin Islands and Massachusetts, consistently qualifying sailors for the USODA Team Trials and the US Opti National Team. He was the only US coach in attendance at the first Optisailors Clinic led by Bocha Pollitzer and Fernando "Happy" Alegre in Paracas, Peru. Chris now lives in San Francisco where he races V15s and trims on a J24. He has a graduate degree in education from UC Berkeley.